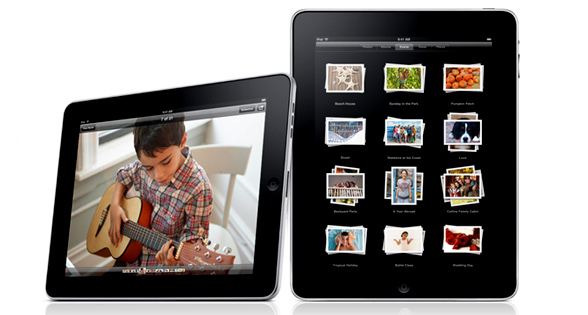 Apple finally launches their version of a 9.7 inch touch-screen, the iPad. Compatible with all iPhone applications and with the new iBook store it makes for a nicer & larger (upgraded) bully version of an iPod Touch. And with a battery life of up to 10-hrs and a month of standby time, makes this a most have gadget for travelers. – Or to the people that would like a tiny television! One query I do have is: Do smaller publishing companies have all their stuff available for download? And did the cater to ATT create a monopoly to a degree? Those questions are on my mind regarding this. This is a helpful blog. I come here very often and i see always good updates, thanks! I’ve been a fan of Apple for sometime, they produce gadgets that is aesthetically beautiful while working like a champ. Alot of companies aren’t like that, it’s typically one or the other. Companies don’t usually take aesthetics seriously like Apple. With me stating that I’ve got to say that I’m very excited about the new Tablet. One thing I question though, is it too soon? I think that this product may be ahead of its time. What do you think? This ipad will excel, but not as a reader but maybe with some app being coded right now. Apple has proved to be ahead of other companies in terms of design, concept and performance. However, people are being a bit hesitant to jump at their products when they just been launched. As it only takes them a couple of months to come up with a new model with twice the battery, twice the space, slimmer body, better wi-fi range etc etc… but that aside, apple will keep out-shining their competitors that’s a fact. Thanks for all your comments! We started this blog as a fun to read/visit blog and will try our best to have good stuff for you to keep coming back! What The H*ll is this iPad?!?! Its only a fatter version of iPhone. Apple start loosing their magic. Thanks for writing about this. There’s a heap of great tech info on the internet. You’ve got a lot of that info here on your site. I’m impressed – I try to keep a couple blogs fairly ongoing, but it’s a struggle sometimes. You’ve done a big job with this one. How do you do it? I cannot wait to get my iPad pre-ordered. They look fantastic. I am just in two minds whether to get the wifi or the 3g and which size to get. Fantastic info I love some of the articles which have been written, and especially the comments posted! I am going to come back! You know, I’ve REALLY found your posts really rather interesting. I can’t wait to read your next one..
Really nice blog you have there. Some of your article really impressed me. I will definitely visit your blog again! My 1st computing device was a reused Apple III and I had a lot of fun with it. Never overheated in one case, although it wasn’t until after some years I got wondering and popped off the case, and saw a second memory module which had been rattling around free all the time I had possessed it. Y’know I’m inclined to disagree with you on this one, I think it’s awful, but then again, different strokes for different folks! On a vaguely related note, Apple have done the right thing for themselves by not announcing international iPad prices yet, for the pound is tumbling against the dollar in recent weeks (not the Apples UK prices are set on exchange rate alone).